"Tell Congress: Abolish the EPA!" Tell Congress: Abolish the EPA! America’s oldest and last-standing lead smelting plant permanently shut its doors on December 31, 2013. Unfortunately, Doe Run Co. didn't decide to close up shop because of market conditions, but because of the radical Environmental Protection Agency under former President Barack Obama. After the EPA hiked “Air Quality Standards” tenfold, Doe Run decided it was better to cease operations rather than spend $100 million on fines, penalties, and site upgrades to lower the plant’s sulfur dioxide and lead emissions. What happed to Doe Run isn't an isolated event... 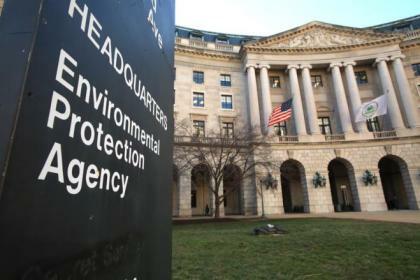 The Environmental Protection Agency regularly hampers business in the name of "clean air" and environmental preservation. With President Trump already planning on curtailing the EPA's power, we've got to command members of Congress to take action even further. First, the House must pull every penny from the EPA budget -- Second, members of Congress must pass legislation that repeals President Nixon's executive order that created the agency in 1970 (84 Stat. 2086). It’s time to abolish the EPA. Take action! Sign your name and send a message to your U.S. Representative and Senators now! EPA should be abolished. It isn't constitutional in the first place. If anyone should be doing anything to safe guard the environment it should be at the local level. The federal government should not be running an agency that does what the EPA does. Every American wants clean air and water, a clean and safe environment, and a beautiful country that values natural resources without being destructive; but it can not over regulate and stop business as long as it is not harmful. Businesses should uphold strong standards to maintain those ideas of a safe and clean environment. The States needs to regulate their own business as each state has different environmental needs and wants. Limited Federal government agencies is what is needed to control the federal government spending until we are in not so much debt. Someone from Brooksville, FL signed. Tracy C. from Palm Bay, FL signed. E.P.A. has cause up problem over the years due to Global pressure. My problem is why must our standards be higher then other countries Because of this I have seen jobs disappear over the years. It's long past time to abolish the EPA. Jesse S. from Hopkins, MN signed.